The City of Alabaster is a southern suburb of Birmingham in Shelby County. With a population of 31,352, Alabaster is the 16th largest city in Alabama and still growing. George L. Scott, Sr., an Alabaster pioneer, owned and operated Alabaster Lime Co. His shipping point, named for him, was known as “Scott Rock”. Later, housing was built to accommodate some of the employees, and the community acquired its name Alabaster from the "white calcium carbonate mineral." Being a thriving city, Alabaster has an active civic, business and religious community. Along with several restaurants and a civic center, Alabaster also has a major hospital, is home to hundreds of businesses and several scenic parks, and is minutes away from several impressive golf courses. The most popular place to shop in Alabaster is the Propst Promenade and Colonial Promenade South, just off the 238 exit on I-65. The shopping center offers multiple restaurants, shops and a movie theater. Alabaster also hosts a popular annual anniversary celebration called City Fest which draws thousands to the city every year. Alabaster is most easily accessible from Interstate 65 and U.S. Highway 31. According to the Alabama Transportation Director, there were 5,086 crashes in Shelby County in 2012. Of these accidents, 685 resulted in non-fatal injuries and 29 resulted in fatalities. In Alabaster itself, there were 821 crashes, 211 of which resulted in non-fatal injuries. There were no deaths. These statistics highlight the fact that the residents of the City of Alabaster, and those motorists traveling through the area, are not immune from car accidents and injuries. Located just minutes away in Birmingham, the Alabaster car accident attorneys at Hollis, Wright, Clay & Vail, P.C. routinely represent individuals and families who were injured or victimized by an automobile accident in the Alabaster area. Our attorneys frequently appear in the Circuit Courts of Shelby County. Our skilled attorneys will devote the time, energy and resources to obtain the compensation that you and your family deserve as a result of the injuries and losses sustained in an accident. If you or a family member is hurt in a car accident that was caused by someone else, then the laws in the State of Alabama allow you to be compensated and claim damages including medical bills, lost wages, pain and suffering and emotional distress. If you were permanently injured or scarred, then you can claim compensation for that element of damage as well. In order to maximize your chances of a good recovery from the insurance company for the at-fault driver, it is imperative that you immediately take certain steps following an accident to protect your rights. After receiving medical treatment, the first step in the process should be to locate and hire a good, competent attorney that specializes in handling these types of cases. You should not settle for just any attorney. Rather, you should research the attorneys in your area and hire one that has the experience and resources to help you in your time of need. 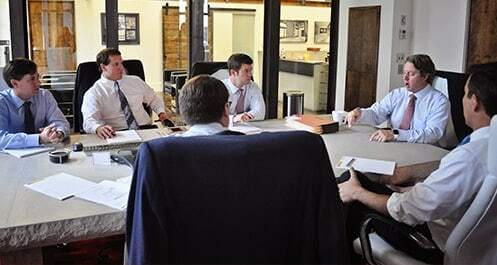 The Alabaster car accident attorneys at Hollis, Wright, Clay & Vail, P.C. have years of experience and a proven record of success in handling motor vehicle accident cases. Our attorneys evaluate each and every car wreck case with a tremendous amount of care and concern in an effort to identify and pursue compensation for each aspect of the injuries you or a loved one sustained in an accident. If you have been injured in an accident that occurred in Alabaster, Alabama, please contact us now at 1-844-529-8255 for a free and confidential consultation. If you hire our firm, we will handle your case on a contingency fee agreement which means that we don’t get paid unless we successfully recover money for you.